I am proofing the final version of Hear All The Bells. So close, so very close to done! I’ve also written a Preface to the bookthat I didn’t initially expect to write. But I’m going to share it here, in its entirety, because it may be the most important part of the book. I realized that I couldn’t leave this information out, couldn’t tell my personal story without putting it into social context, even as brief and incomplete a summary as this is. 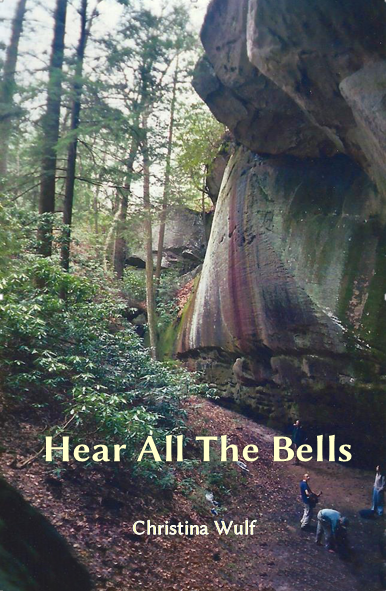 Hear All The Bells is a memoir, a personal story of my diagnosis and life with manic depression. It is not written to represent the experience of others with mental illnesses, and, beyond a basic level, I do not delve into the societal problems surrounding mental illness. The societal problems, however, are vast, close to home, and must not be ignored. A recent news article reported that in my home state of Virginia, people with mental illnesses have made up almost 40% of fatal police shootings since 2010. Nationwide, the number is 25%. A joint report from the Treatment Advocacy Center and the National Sheriffs’ Association provides another example. The report found that in 2012, prisons and jails in the U.S. held approximately 356,268 inmates with severe mental illness. In comparison, state psychiatric hospitals housed only about 35,000 patients nationwide. It is almost a cliché now to say that prisons have become America’s new asylums. The first time I addressed a public audience about my experience with manic depression, I spoke to a university Justice Studies class. I explained that my personal story would probably be radically different if I did not occupy my particular demographic position. I am white and cis female. I’ve had access to health insurance all my life. My family has the ability to come to my aid financially, medically, and legally should the need arise. These factors hugely boosted my chances of good treatment and recovery. A psychiatric nurse mentioned to me once that I was lucky to have been taken to the hospital during an intense manic episode. People in extreme states of mind are regularly taken to jail. The nurse said that men and people of color are much more likely to be arrested than admitted to the hospital. I told the Justice Studies class the story of Jamycheal Mitchell, a young man whose story haunts me because, although our diagnoses are similar, his experience is 180 degrees opposite of mine. Jamycheal, a 24 year old, African American man from Hampton Roads, Virginia, was arrested for stealing $5 worth of snacks from a 7-Eleven. He was taken to jail. The judge ordered a psychological evaluation, which found that Mitchell was manic and psychotic. The report stated that his thought processes were “so confused that only snippets of his sentences could be understood.” The psychologist recommended that Mitchell be committed to a state hospital to restore him to competency before standing trial (for a $5 theft). The state mental health and criminal justice systems went on to fail Jamycheal in almost every way possible. He was asked to make major decisions about his treatment while in a severely-altered mental state. Mitchell was then warehoused in jail for two and half months, waiting for a bed to open at the regional state hospital, while his health and mental state deteriorated. Allegedly, the jail ignored his health problems and the distraught phone calls from his family members. Jamycheal stopped eating, became emaciated, and died in jail of undetermined causes probably related to heart arrhythmia and physical wasting. It is hard for me to fathom allowing someone to fall between the cracks in such a drastic and inhumane way. What I can imagine, all too clearly, is how the stress of incarceration could amplify symptoms and lead to rapid deterioration. The justice issues surrounding mental illness connect up with the deep challenges we face in this country of discrimination and abuse related to race, class, ethnicity, gender identity, sexual orientation, and so on. They connect up with misunderstandings and lack of training about mental illness within the criminal justice system. Questions of safety and agency and confidentiality of patients with mental illness also go deep. How do we balance respect for individual rights with the reality that patients in extreme states may not know what their best interests are? The questions are hard and painful. I have no solutions to offer beyond the need for us as individuals and a society to turn our attention and care to this problem. People with active mental illness are among the most vulnerable in our society. We can begin coming to their aid by not turning away. As you read Hear All The Bells, I hope you will keep in mind Jamycheal Mitchell and the hundreds of thousands of other humans who are incarcerated with severe mental illness. My struggles pale in comparison, yet I hope this story can still offer helpful insight. Even with my many advantages, manic depression was extraordinarily traumatic in my life, as Hear All The Bells illustrates. As you read, imagine my story taking place without good medical care. Or in the context of economic hardship. Or where I am arrested and sent to jail or prison instead of being taken to the hospital or the doctor. Imagine how rapidly a deeply traumatic experience, when added to these other situations, could ruin a life, not just emotionally and spiritually, but in all ways. Imagine how incredibly difficult, if not impossible, recovery could be. This happens. This happens all the time.